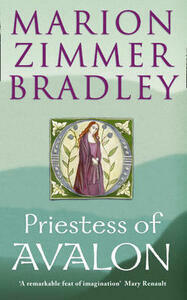 Long-awaited final volume in the Avalon series by bestselling fantasy author, Marion Zimmer Bradley. As the Merlin of Britannia keeps his vigil atop the Tor of Avalon, Rian, the High Priestess of Avalon, dies giving birth to her fifth child. The girl, named Eilan with her mother's dying breath, takes life. From the stars the Merlin draws forth her prophecy: `The child that was born at the Turning of Autumn, just as the night gave way to dawn, shall stand at the turning of the Age, the gateway between two worlds.' A prophecy of greatness, but it seems that she is destined to walk a path unlike any trod by a Priestess of Avalon before... Published posthumously, this spellbinding historical romance is the concluding volume in the Avalon series from Marion Zimmer Bradley, the author of the worldwide bestseller, The Mists of Avalon, who died in 1999.